The North American Mario Flipnote competition ended today, but Nintendo UK is now offering it to users of its free animation software Flipnote Studio. As before, entrants must use the provided soundtrack to accompany a short animation including Mario characters, but this time the judges will be none other than Nintendo legends Takashi Tezuka, Yoshiaki Koizumi and Shigeru Miyamoto himself. The prize, other than having your artwork viewed by these gaming luminaries, is having it watched by gamers all over the world via Nintendo's portal. If you don't know how to draw Mario yet, this song below will help you whilst boring into your brain and refusing to leave for several days. 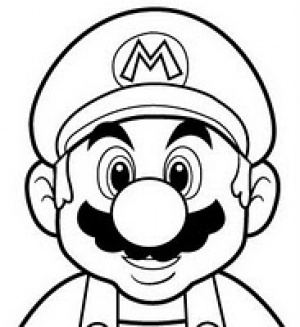 MAKE YOUR OWN MARIO FLIPNOTE! COMPETITION JUDGED BY THE CREATORS OF MARIO! To mark the 25th anniversary of Super Mario Bros., Nintendo announces the launch of ‘Make Your Own Mario Flipnote’ – a competition to find the best, original Mario-inspired Flipnote animations from across Europe using Flipnote Studio, exclusively for Nintendo DSi and Nintendo DSi XL. The competition, which opens for entries this Friday, invites Nintendo DSi and Nintendo DSi XL owners to create and enter their own animated Mario Flipnote (using Flipnote Studio), featuring characters from the Super Mario Bros. games. The ‘Make Your Own Mario Flipnote’ competition, which closes on 10 December, will be judged by key members of the Nintendo Co., Ltd. development team who have worked on popular franchises such as Legend of Zelda and Super Mario Bros. Mr. Takashi Tezuka, Mr. Yoshiaki Koizumi and the original creator of Mario, Shigeru Miyamoto, will judge to choose the most creative Flipnotes. Flipnote Studio is a fun and easy-to-use software built into the Nintendo DSi and Nintendo DSi XL handheld consoles which allow players to create their own short animations. Using one of two provided soundtracks you can unleash your Mario imagination; have Bowser breathe fire, draw Yoshi grabbing an item with his tongue, or simply animate Mario jumping for a coin. 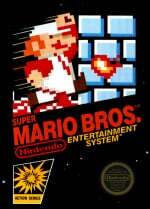 The competition forms part of an ongoing series of events to recognise a quarter of a century since Super Mario Bros. was first released. Running from 19 November until 10 December, each Nintendo DSi and Nintendo DSi XL owner will be able to submit a single animation. The best Flipnotes will be posted online and made available to download for other Mario fans to marvel at. There’s also a special song to inspire the creativity of Mario fans young and old!. 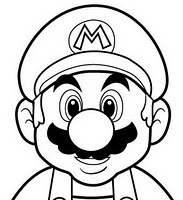 Ever wanted to know how to draw Mario? Well now you can, with the help of a special, downloadable The Mario Drawing Song Flipnote, which has been created in celebration of Super Mario Bros. 25th anniversary. For those who have been inspired to recreate Mario’s image, the The Mario Drawing Song Flipnote has all you need to begin! To download this exclusive song to your Nintendo DSi or Nintendo DSi XL, simply start Flipnote Studio and have a look at the ‘Make Your Own Mario Flipnote’ competition section. "Take a page and a pen draw a big mushroom!" lol, that was very funny. was going to enter... (sees bag of potato chips) to lazy. Wow, that's catchy. Now I'll never forget how to draw Mario. The song makes it easy to remember the drawing but he song could've been better. I just finished my entry last night, and this sure would have been helpful! Well actually, not really. It only shows you how to draw him from the front, head on, which wouldn't be THAT helpful at all in a dynamic animation. Also, for those wanting further torment, the song can be downloaded in Flipnote form from Hatena in French and Spanish. That vid oddly reminds me of the beginning of Kirby's Adventure. AH, get the Japanese voices out of my head! I saw this on the Nintendo Channel yesterday. I was laughing for hours. I said I'd enter the Monsters competition and didn't, but if the judges are those guys, well, there's no time to lose!